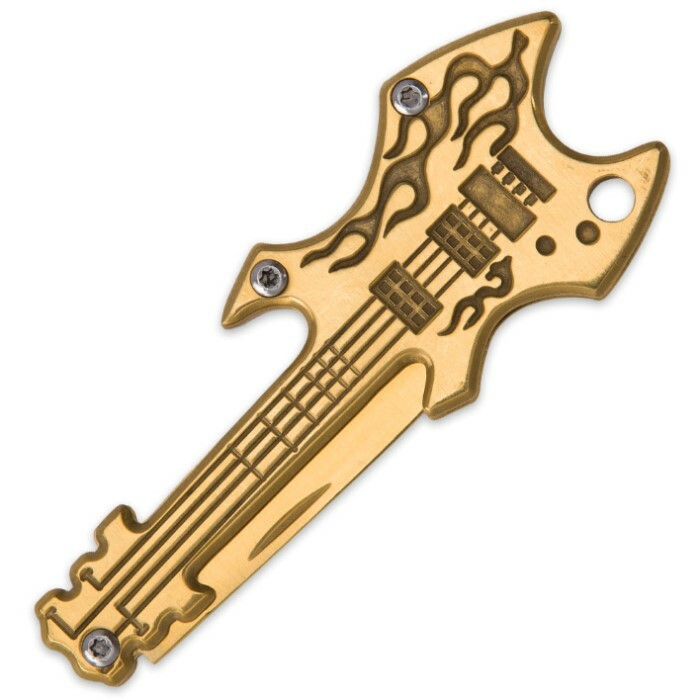 The Flaming Gold Guitar Pocket Knife is completely Rock 'n’ Roll! 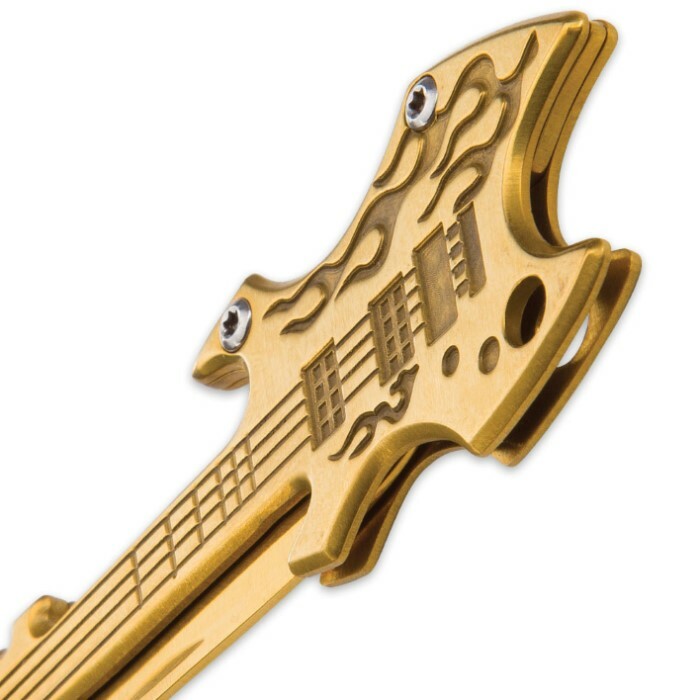 The handle is expertly sculpted in stainless steel into the shape of an electric guitar. It is complete with flame details and it has a gold finish. The pocket knife has a 2” stainless steel blade that is sharp and, when it’s closed, it measures in at 3” in length. 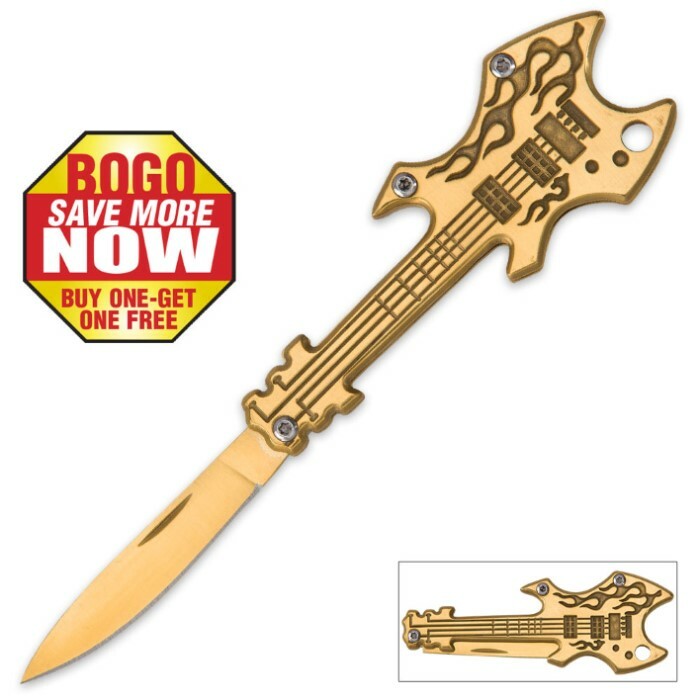 You get two of these uniquely designed pocket knives for the price of one!